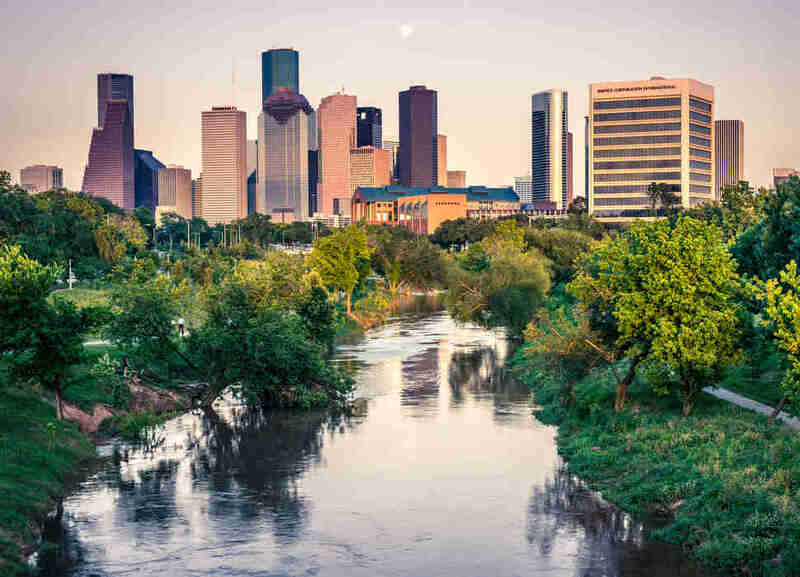 For a thousand different reasons, you're considering a move this year, and well you should: It's a big ol' country we have here, and opportunity favors those in motion. But before you start daydreaming of swimming holes, remember: Austin is full. So is Portland, alas. Nashville is getting there. As sick as you might be of your city's high rents, $9 beers, and miserable dating pool, migrating to the same overhyped town as everyone else won't improve your situation. Suddenly you're just another latecomer stuck in traffic, watching the rents go up, the lines get longer, and a pint climb to $8. You're right back where you started, kid. 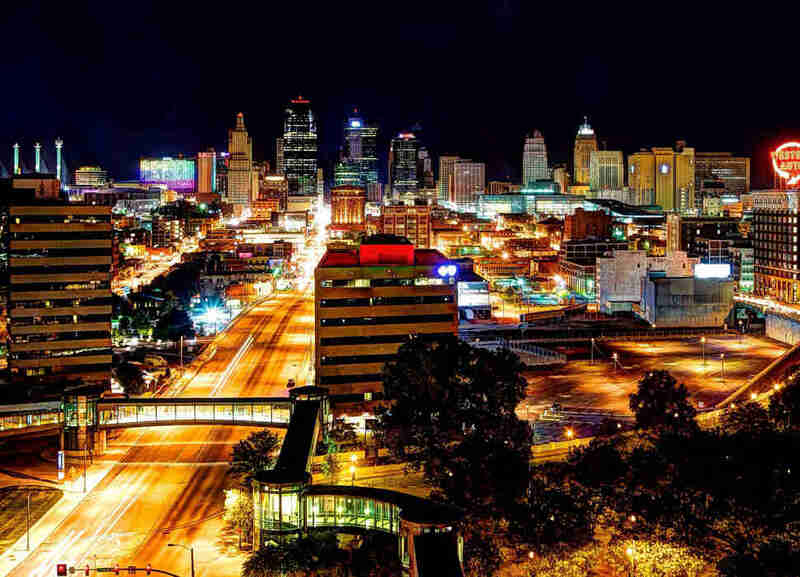 Long overlooked (and flown over) because of its cow-town heritage, KCMO has become the unlikely stomping ground of hip urbanites opting for a three-bedroom house at a fraction of what they'd pay for a crawlspace in Brooklyn. 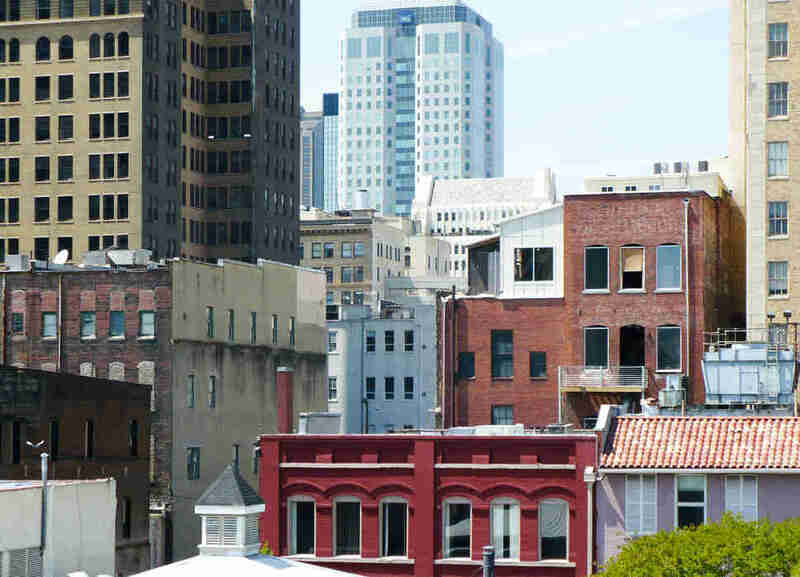 Revitalized neighborhoods offer lofts and condos at rock-bottom prices, alongside converted industrial warehouses bustling with flea markets, artist exhibits, and pop-ups. Free high-speed internet is available to all, courtesy of Google Fiber, and a brand-spankin'-new trolley system (also free) makes parking Downtown a nonissue. An impressive list of arts, theater, and music festivals attracts diverse crowds and talent to KC year-round. Take it from a West Coaster who just spent his freaking honeymoon there -- the scene does not disappoint. The heart of Downtown boasts an Alamo Drafthouse and the Midland Theatre, with a full calendar of music and comedy shows, plus blocks of classy bars and good eats. Further south, the historic Crossroads neighborhood is one of the most concentrated arts districts in the nation, home to more than 100 independent studios. 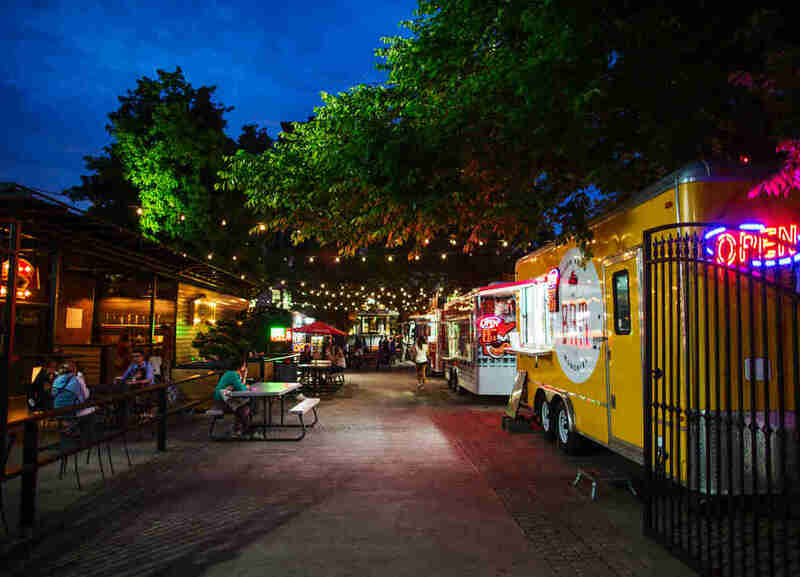 Every First Friday, thousands of residents flood the area for live music, street theater, aerial performances, food trucks, and gallery open houses. Though we can't quite hurl superlatives at it like "Best Town Ever" (as it was named by Outside magazine, twice), Chattanooga is still an outstanding place to call home. 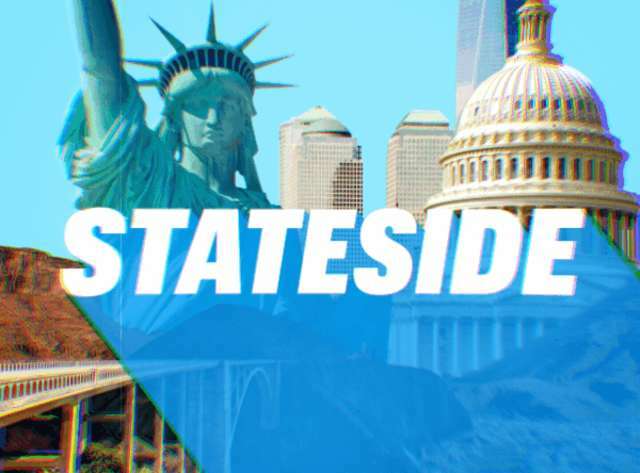 This is especially true for entrepreneurs and startup whiz kids, as the city has roughly half the startup costs of Silicon Valley and is home to the INCubator, America's third-largest business incubator. The small-business community here is one of the country's best-supported, with companies like Lamp Post Group, The Company Lab, and GIGTANK all offering help and funding to the entrepreneurial-minded. And thanks to recent infrastructure investments in 10-gigabit systems, Chattanooga, of all places, boasts the fastest internet in the Western Hemisphere. Not long ago Grand Rapids was a sleepy city full of churches and furniture makers, surrounded by even sleepier suburbs and even more churches. 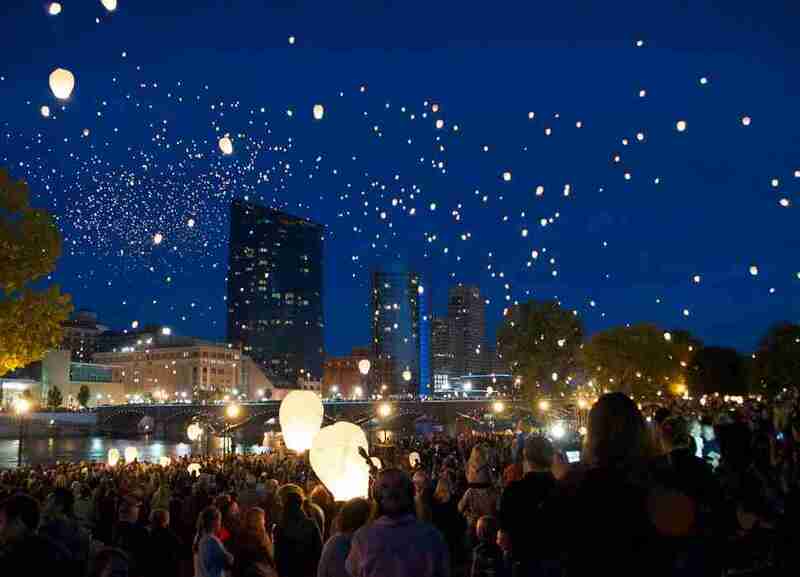 With walkable neighborhoods full of beautiful -- and affordable -- housing, and a lively Downtown, Grand Rapids is flush with energy these days. If it's not the best beer city east of the Mississippi, it's damn close, and it offers much of the art, food, and music trappings you'd find in Chicago or Detroit, only at half the price and one-quarter the commute times. 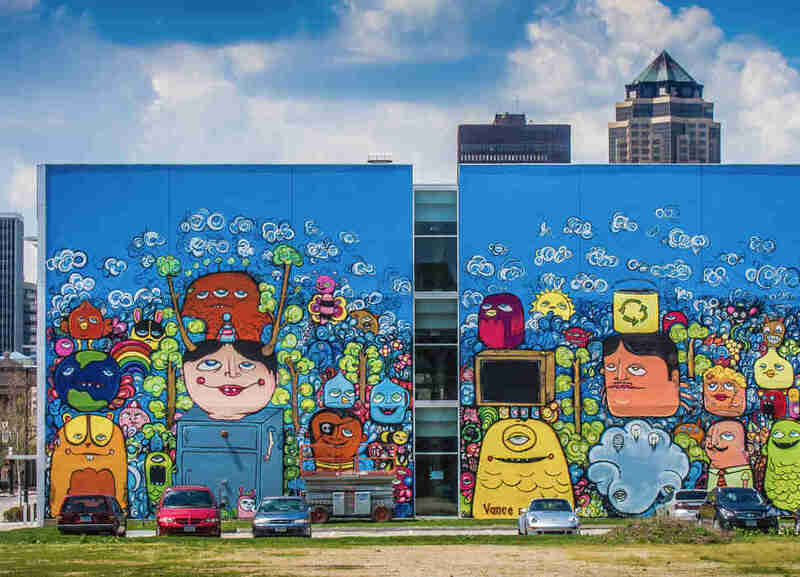 Centrally located hangouts like Founders Brewing Co. and Stella's Lounge have helped give Downtown its luster, and the annual 19-day art spectacle ArtPrize draws hundreds of thousands to see the installations and exhibits that take over the streets. The Pacific Northwest boasts some of the most spectacularly beautiful scenery in the United States, but with that comes some spectacularly scary prices in its major cities. 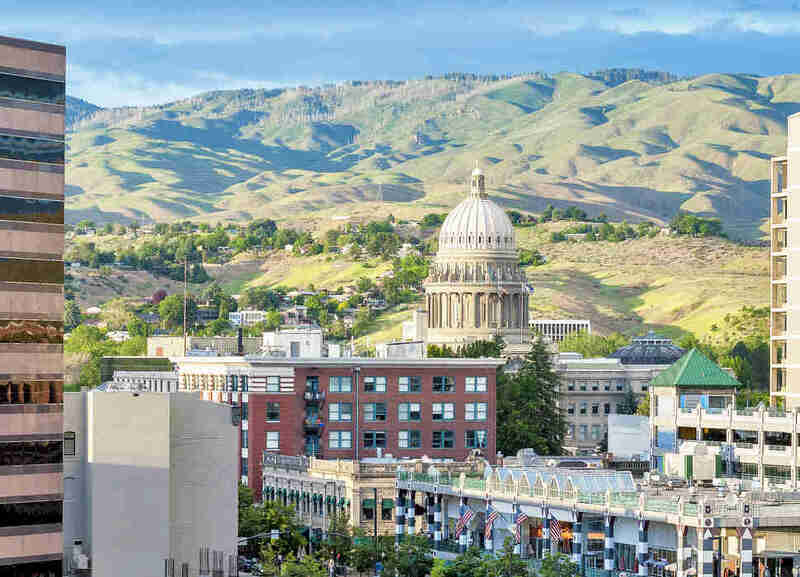 Go inland and you’ll find the hidden gem that is Boise, the lone outpost of civilization between Seattle and Salt Lake City, home to a klatch of creatives, hipsters, and tech types. One of the most bike-friendly and walkable cities in the country, temperatures rarely get above 90 or below freezing here, and the 25-mile Boise River Greenbelt gives residents a good reason to enjoy the clean air and rolling views of the city. Boise is also a short drive from the Snake River Valley wine region, plus skiing at Sun Valley, the Sawtooth Mountains, and Shoshone Falls -- which is both taller and wider than Niagara. Corporations stressed by regulation in the coastal states look to Idaho as more business-friendly, meaning jobs are plentiful, especially since the population is relatively small compared to Portland and Seattle. A house here costs $239,000 on average, and rent in a two-bedroom apartment runs only $932. Without a roommate. -- M.M. It's a common misconception that the only affordable cities in Florida boast a median age of 105. But for young people who feel like buying their own home, jumping on a fixie for a mural tour, then settling down for a Mother Kombucha and charcuterie at a local farm-to-table restaurant, please allow me to introduce The 'Burg. About halfway down the west coast of Florida, this peninsula-within-a-peninsula was once dismissed as a Midwestern retiree magnet and working-class armpit. Then in the aughts, some artist types and entrepreneurs decided they wanted to live in a decent city, so they restored a bunch of historic homes, started farmers markets, put murals everywhere, and created a monthly art walk. The Downtown has seen three breweries open up, as well as a live-music venue (Jannus Live) set in the middle of a block of bars, allowing St. Pete to solidify its reputation as the only city in Florida where anyone with half a soul would want to live. And while the average rent of $920 a month might sound like a classic Florida real estate con, it's not. Living in the Northeast often comes with a swift, brutal lesson in adulting. Astonishing rents, soul-squashing commutes, and competitive job markets in New York, DC, and Boston can send people packing pretty damn quick. The great exception is Providence. Our smallest state's biggest city is home to four universities and a correspondingly carefree, relaxing pace of life. Because it's overrun with students (in a good way!) prices around town are still undergrad-budget low. A night at a big club like Rebel can be done VIP-style for under $100. Meals at 10 Prime, Rhode Island's best steakhouse, can be done for under $50 a person. Trendy rooftop bars still have $4 beers. You get the idea. 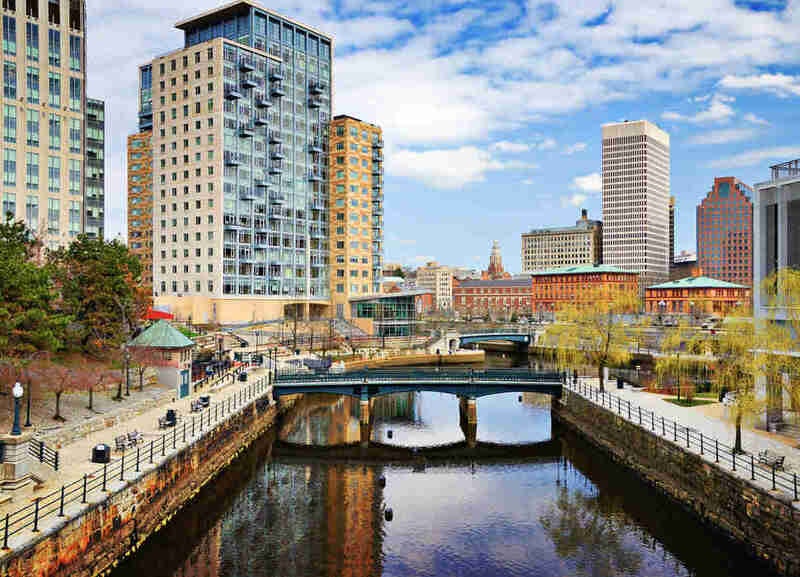 And while the revitalized Downtown riverwalk and hyper-active arts community make this city tough to leave, the beaches and historic homes of Newport are a half-hour drive away. And should you get a hankering for the obnoxious sports fans, traffic, and grit of big-city life, Boston is a mere 50 miles up the road. -- M.M. Baltimore's greatness goes way beyond succulent crabs covered in Old Bay. After sliding from a manufacturing bastion into near irrelevance, this brick empire redefined urban renewal and has been recast into an industrial-chic hotspot. Living here means adopting the Chesapeake Bay lifestyle -- whether that be boating, cracking open shellfish, or sporting nautical-inspired apparel year-round (coastal Maryland can be quite preppy). Regardless, you won't fall in with locals until you also stop pronouncing the "T" in Baltimore. The price of a brew in a pub often foretells a city's cost of living. National Bohemian Beer, colloquially "Natty Boh," was first brewed in Baltimore in 1885, and 90% of its sales are local. It's not uncommon to find cans for $2 in the infamously divey dive bars. Fine dining abounds, but hitting up an old-school marketplace like Lexington or Cross Street Market is the cheapest way to get your hands on fresh, delicious oysters, sushi, crabcakes, and steamed shrimp. 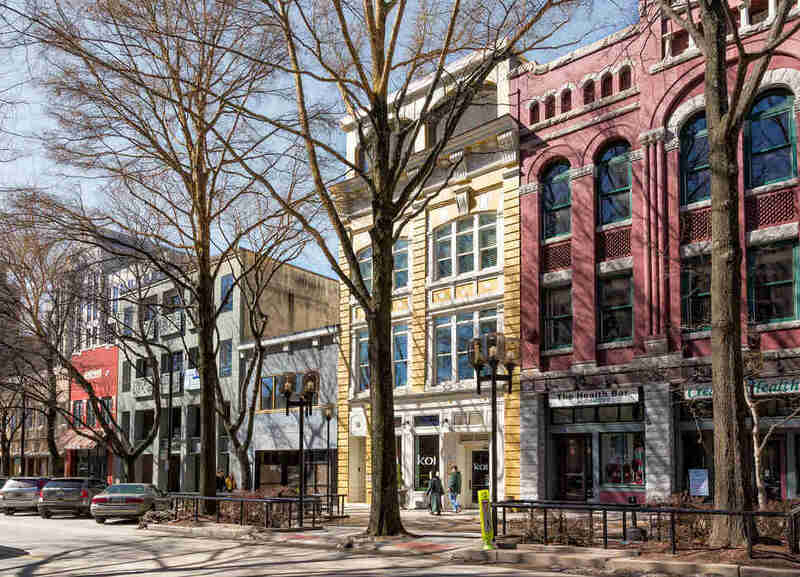 Charleston and its coastal charms have been getting a lot of play lately, but clear across the other side of South Carolina you'll find milder summers, greater opportunities, and one of the best small-city Downtowns in America. Between the rooftop bars, distilleries, and coffee shops on Main St are innovative restaurants like Grill Marks, Soby's, and The Lazy Goat. The whole thoroughfare shuts down every Friday during the summer for an all-night street party, drawing the city's fresh crop of young professionals -- most of whom still miraculously recover for a breezy Saturday morning bike ride down Swamp Rabbit Trail to hit up the farmers market in Travelers Rest. Greenville feels like a walkable big city, but it still maintains the prices and open space of a small town. A house here can be had for well under $200,000, and while values have gone up about 3% year over year, rents really haven't. The city is home to more corporate headquarters than anywhere else in the region, and the abundance of jobs in fields like health care, auto engineering, and education have brought in a diverse population. As for weekend escapes, it's a short drive to Charlotte or Asheville, or a few hours to the coast or the Tennessee border for majestic mountain hikes, lakes, and waterfalls. -- M.M. San Diego has long been derided as a cultural wasteland, or some budget-version LA, but don't underestimate it. A dynamic, youthful city awaits those willing to take the plunge. Not that it's so hard to imagine moving there -- it's a city with near-perfect weather at the edge of the Pacific Ocean. 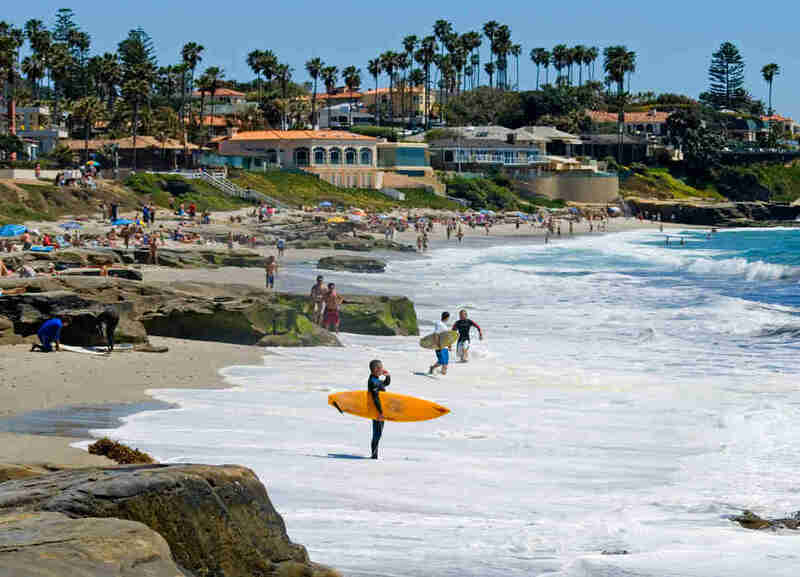 Perhaps because of the pervasive laid-back beach culture, big companies haven't taken San Diego very seriously; for entrepreneurs and those who want to work remotely, their loss is your gain. A surprising number of people here are balancing beach time with coffee shop work sessions, or working in satellite offices for companies in a more "serious" city. For creative types and surfer dudes, one of San Diego's largest industries is tourism, so there's likely a bar, restaurant, or hotel gig with your name on it. Yes, the cost of living is higher here than other US cities -- it's the California coast, after all -- but it's a fraction of Los Angeles, New York, or San Francisco. If there's a city more Midwestern than Milwaukee, it's probably Sheboygan. But, that's really just because it's named Sheboygan. How 'bout Milwaukee? Nice people? Check. Lakefront property? Check. Beer, cheese, and sausages? Cheeeeeck. And while Cream City boasts an old-school, working-class, Germanic backbone, this hasn't been Laverne and Shirley's town for a long time. 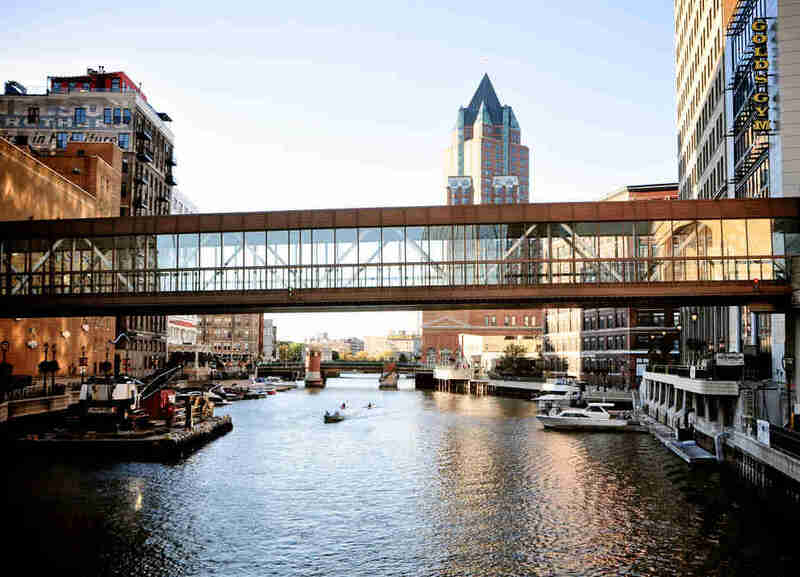 Milwaukee is a diverse cultural capital, boasting a world-class art museum, the world's largest music festival in Summerfest, and more craft breweries than you can shake a Usinger's meat stick at. Nobody's gonna stop you from cracking a cold Miller Lite or PBR, but you may just want to opt for a Brenner or Lakefront instead. 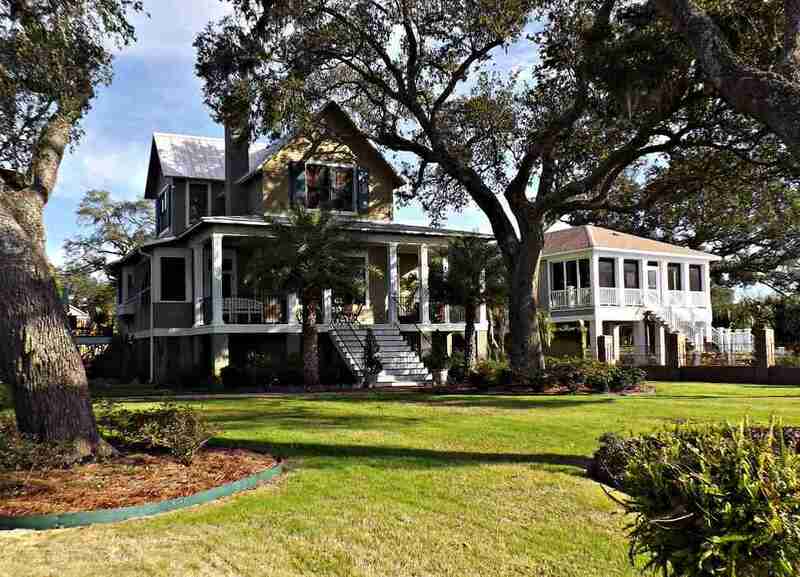 For two years running the most affordable beach community in America has been Gulfport. Mississippi's second-largest city has a Downtown set only a couple of blocks from the sand, smack in the center of 27 miles of relatively unobstructed shoreline, right on the Gulf of Mexico. Folks who grew up in this area are flocking back, energizing Gulfport's local scene with new additions like a Downtown pedestrian street lined with bars and outdoor restaurants, and the Chandeleur Brewing Company, which hosts street-closing beer and music festivals all year round. The entire Mississippi Gulf Coast is nothing like the Mississippi you've stereotyped in your head, and Gulfport is its de facto capital. Just to the west is Bay St. Louis, a funky artists colony set right on the sea, with a main street full of cafes and art galleries. To the east is Ocean Springs, a young beach town boasting a strip of bars along Government St with the densest concentration of live music outside of New Orleans. With the Stennis Space Center and Keesler Air Force Base nearby, the crowd here is always changing, and it's easy to meet others who are new in town -- most of whom will be more than happy to come over to your shockingly affordable beachfront home. -- M.M. SLC Punk! came out all the way back in 1998, and yet, people still equate Salt Lake City with being "boring," "religious," or "conservative." Please. 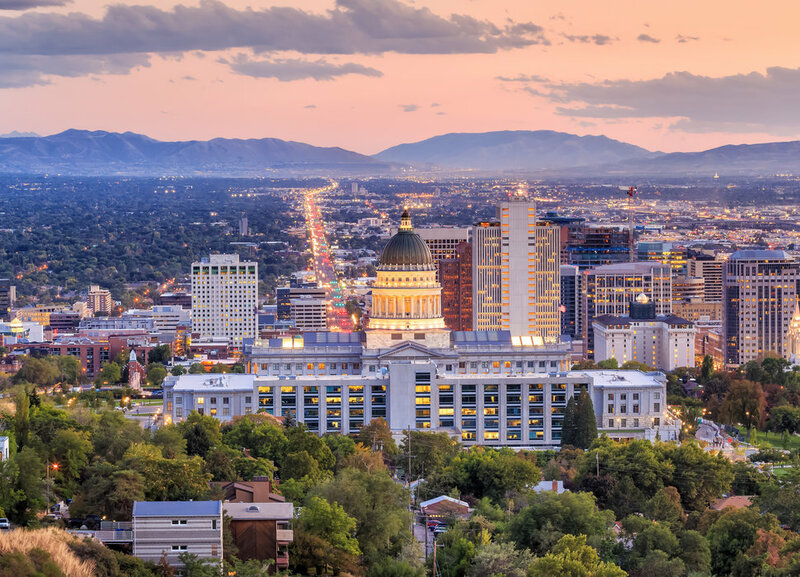 Utah's capital boasts breathtaking scenery, inventive cooking, and, yep: great booze -- plus you can eat, drink, and party like a king for criminally low prices. The youngsters of SLC are pushing the city in new directions with breweries like Uinta and Epic, plus music venues like The Depot and The State Room. Don't sleep on the heritage of this Western town -- it's shining from the Mexican food at Red Iguana all the way to the knockdown beauty of Temple Square. 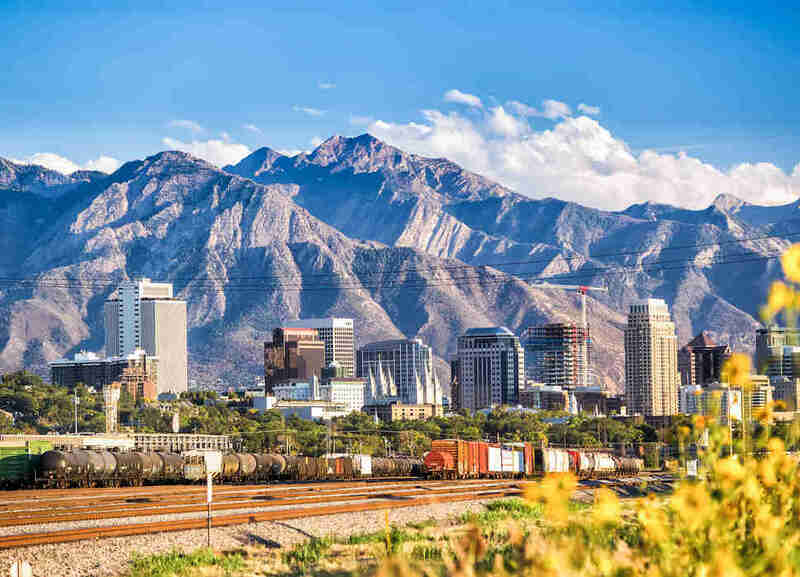 And if the Mormon influence is slowing your move, chill out: Less than half of Salt Lake City is made up of LDS members and, well, they're usually pretty darn nice anyhow. No doubt one of the most attractive aspects of SLC is its outdoorsy lifestyle. Nine ski resorts are less than an hour's drive away, something not even Denver can touch. Hiking trails, mountain biking, and horseback riding abound. Salt Lake rents average around $1,100 and the city spreads out nicely, up into the mountains and over to the eponymous lake. And it's so roomy! Fewer than 200,000 people live here! (Shhhhh.) It's hard to think of a place that combines affordability with this much natural beauty, which means it probably won't stay under the radar for too much longer. -- C.St.J. 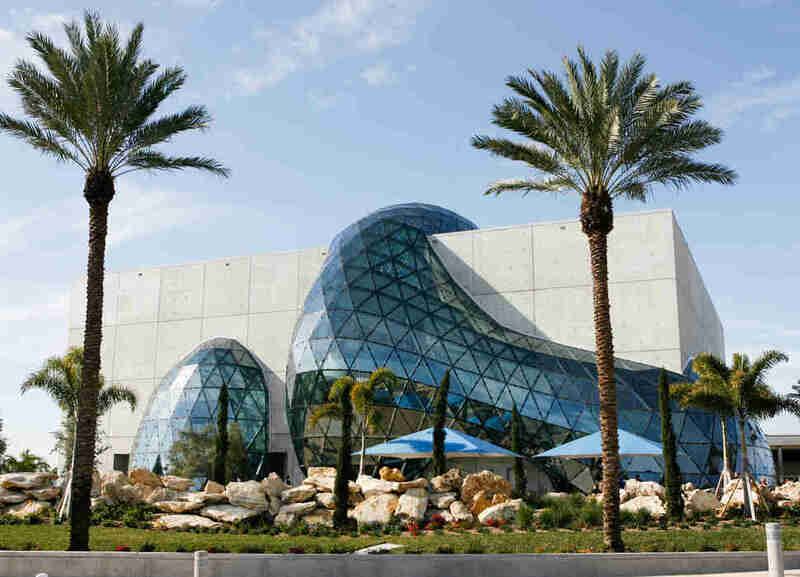 An easygoing economic center makes a play for arts fame. These two towns in the upper-lefthand corner of Arkansas, about a half-hour apart from each other, are gradually merging into one of those the-secret-is-out American nooks. 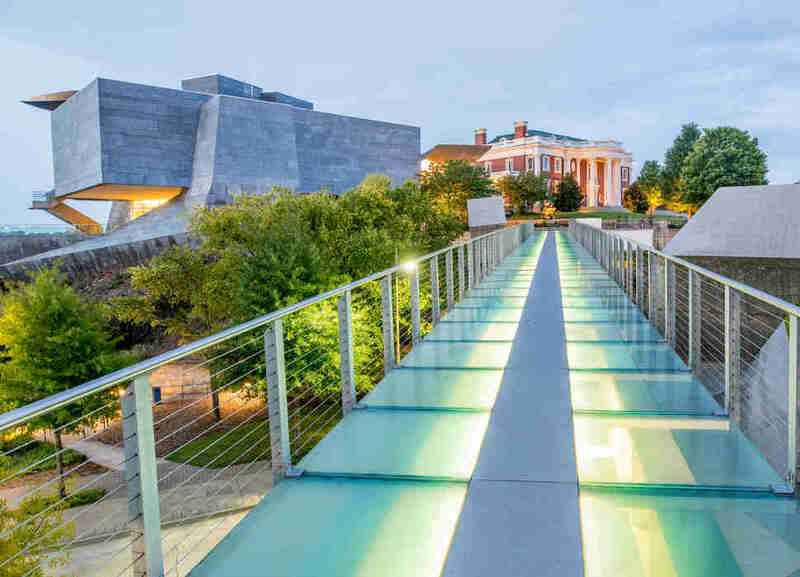 To the south you have Fayetteville: Anchored by the state's flagship university, it's at once jockish and bookish, with a hippie streak that's settling into NPR-mainstream liberality. Cost, ease, and lack of pretense are the big draws here. You can still buy a house with a yard for a hundred grand, drive across town in 15 minutes, and party like an undergrad on the central college drag, Dickson St. There you'll find the likes of Roger's Rec -- basically Mickey Mantle's first liver, reincarnated as a dive bar -- sharing its bathroom with the burnished-oak-and-leather digs of 21st Amendment, just steps from a crackin' little food truck court. Get your kicks as funky or as yuppie as you like. You probably have low expectations for the capital of Iowa. Surrounded by infinite cornfields, it seems unlikely to attract an ambitious urban crowd, or foster anything resembling an arts scene. And yet, by the time you figure out how to actually pronounce Des Moines, it may be too late to get a spot in this booming Midwestern hub. Over the past decade, an estimated 10,000 new residents have packed into the once-vacant Downtown. The cost of living is low, the job market is poppin', and Forbes keeps calling Des Moines one of the Best Cities for Young Professionals. Millennials here are opting to put down roots in three-bedroom houses with sub-$1,000 mortgages, and pouring the savings into nationally recognized restaurants, local taps, funky shops, and an art scene that's just quirky enough to look Brooklyn-esque, if you squint. Birmingham has all the nice weather and genteel charm of the South, sans the exploding real estate prices of Nashville or the heinous traffic of Atlanta. It's a mid-sized city with an inviting small-town vibe, and you'd have to try pretty hard to pay more than $800 in rent. Downtown you'll find the backbone of a historic city -- old steel mills and the Civil Rights District lay bare its darker industrial roots post-Reconstruction -- but a prevailing entrepreneurial energy here insists on building upon the past. 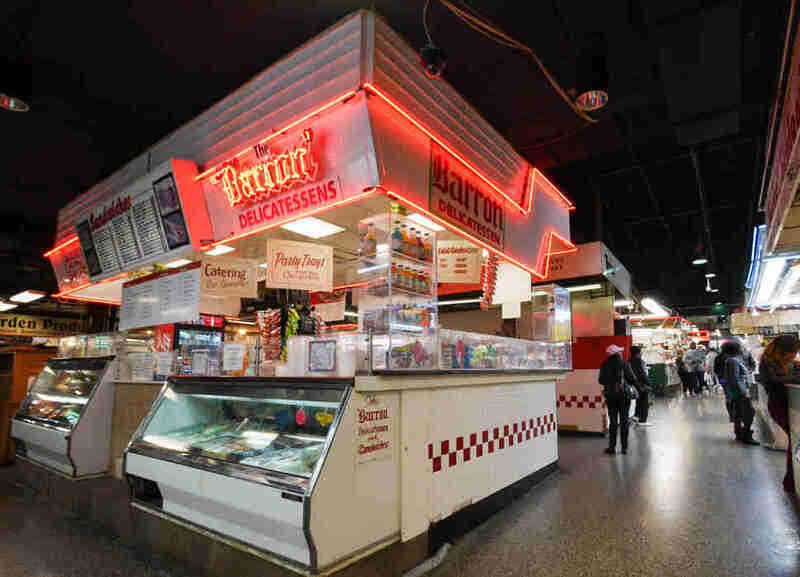 A prime example is the Pizitz Food Hall, a mixed-use foodie's paradise soon to open in a 94-year-old former department store, which will house three restaurants, a bar, and 14 food stalls offering an eclectic mix of international eats. Also on the revitalization docket is a new theater for the annual Sidewalk Film Festival.